If you are a boating or sailing enthusiast then wouldn't be nice if you had a way to share your passion with your friends and family? The Odyssea app for your iPod touch, iPad, and iPhone gives you a way to do just that. 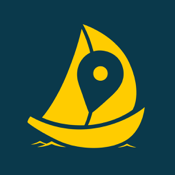 With this app you'll be able to record all your adventures out on the sea as you sail and boat and then share these adventures with your friends and family. What's great is that the app is fully automated and manages to capture even the smallest details of your adventure such as your route coordinates, your average speed, your maximum speed, your starting and ending point, and so much more. Odyssea - Track & share your sailing adventures! The Odyssea app is a great way to share your adventures with your friends and family and allow them to get a glimpse at why you love the sea. As the developer states, however, it's really important to point out that this is meant to be used for entertainment in a social sense with friends and family; this is not meant to take the place of standard paper-based logs. You can also think of this as a wonderful log or journal that you'll be able to keep for yourself too so that you don't forget all the highlights of your journey. While the app is free to use there are some limitations. If you want to be able to access all the app has to offer there are a couple of in-app purchases available, which are priced from $0.99 to $3.99. In its most recent update there was a fairly significant bug fix made that has resulted in smoother performance. The Odyssea app is pretty impressive when it comes to its features, as it's got a full list of them available to users. Some of the standout features include being able to monitor such additional items as your elapsed time, exact position using GPS coordinates, distance you have covered in nautical miles, your heading in degrees, and plenty more. In this free version you're able to save three routes as well as one favorite boat. This is a great way to familiarize yourself with the app before purchasing the full version. Your routes are tracked and saved automatically and to give you peace of mind they are synced to the back-end server so they stay safe. You can share information by tapping on the "Send Position" button, which you'll find on your dashboard. The app is well-designed, user-friendly, and incredibly professional-feeling. The Odyssea app for your iPod touch, iPad, and iPhone offers users a quick, automatic, and professional way to track details about their journey that they can share with friends and family.